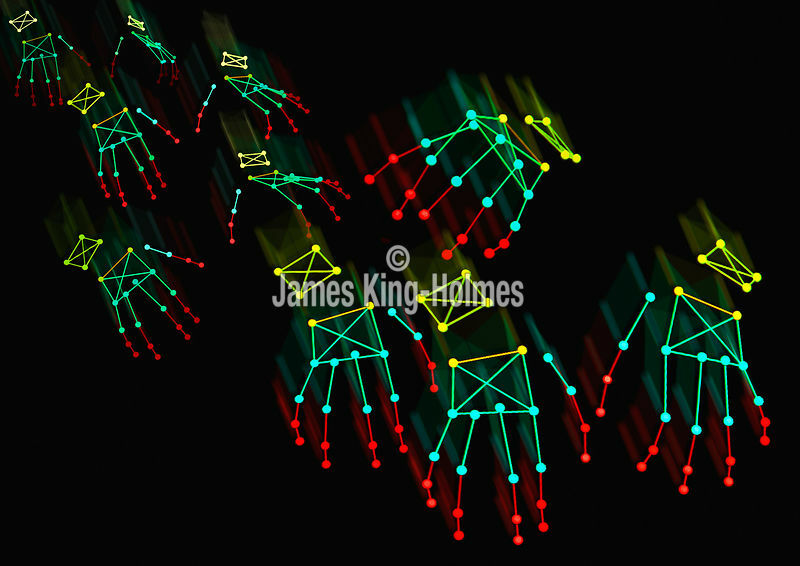 Composite image, representing the final few chords of a piano piece, of computed plots of pianist David Owen Norris's hands as he plays whilst high-technology Vicon motion-capture cameras plot a 3-dimensional image of the array of small retroflective markers taped to his hands. This technique is known as HAWK (Hand And Wrist Kinetics). The research could have implications for the understanding of repetitive strain injury and also for the teaching and understanding of musical performance.